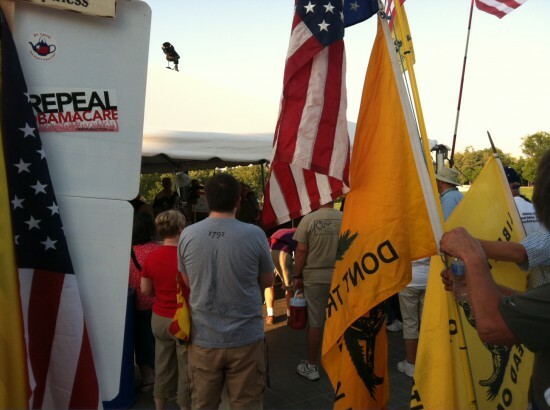 St. Louis Tea Party rallied tonight following today’s Supreme Court ruling on Obamacare. Over a hundred activists came out in 100+ degrees to rally for freedom at Art Hill in Forest Park. St. Louis Tea Party Leader Bill Hennessy fires up the crowd. 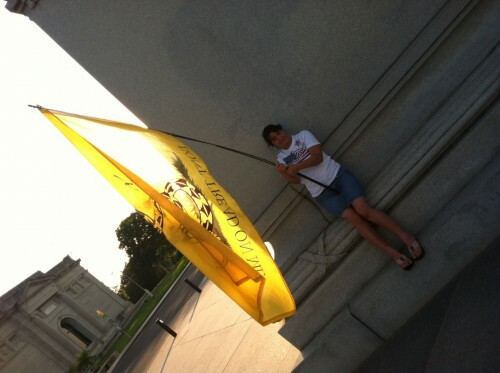 By the way, I ran into five people tonight who said this was their first Tea Party rally. Reboot Congress has more video from the protest.